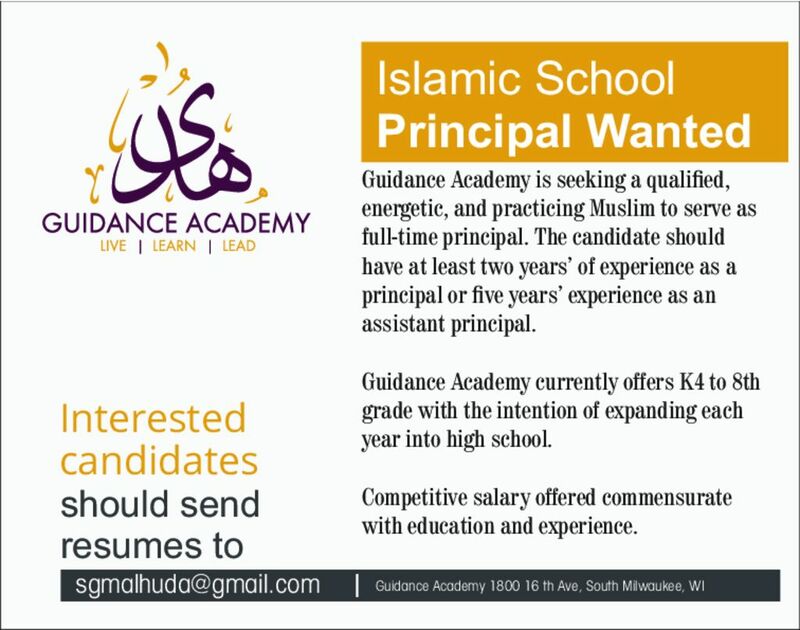 Guidance Academy is seeking a qualifed, energetic, and practicing Muslim to serve as full-time principal. The candidate should have at least two years’ of experience as a principal or five years’ experience as an assistant principal. Guidance Academy currently offers K4 to 8th grade with the intention of expanding each year into high school. Competitive salary offered commensurate with education and experience.